Best Pizza in Nebraska: Our 10 Favorites! Pinning down the best pizza restaurant is no easy feat. To aide in your search for the very best pizza around, we’ve gathered the tastiest, top-rated joints across the state. So, go ahead and treat yourself to one of these 10 best pizza restaurants in Nebraska. 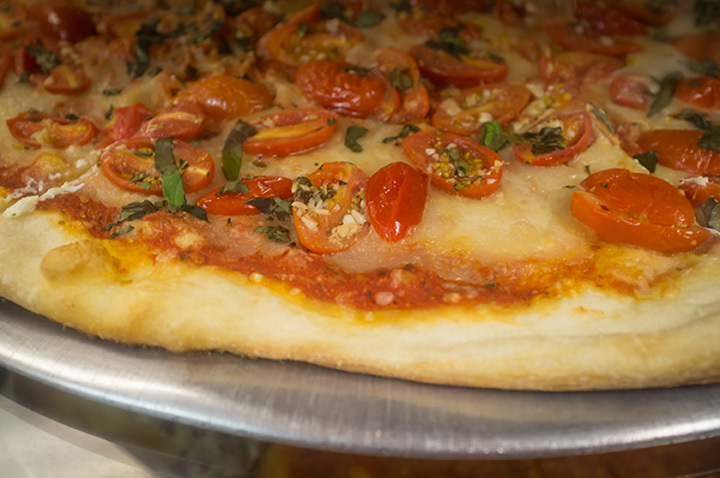 Orsi’s Italian Bakery & Pizzeria in Omaha is known for having some of the most authentic Italian pizza in the city. Located in Little Italy neighborhood, Alfonso Orsi opened the bakery in 1919 and it has remained within the family ever since. After a pizza, don’t miss their famous cannolis! For a specialty slice of pizza, lots of veggie options, and an extensive beer selection to accompany your meal, check out Yia Yia’s Pizza in Lincoln. Specialty pies include “The Mediterranean,” “The Plains,” “The Milano,” and more. A beachfront pizza shop in the middle of Nebraska? That’s exactly what you’ll walk into at Wave Pizza Company in Grand Island. Decked out with surfer and beach decor, this local pizza joint makes our list for best pizza restaurants in the state. With two locations in Omaha, Pizza Pizzeria is a local favorite serving up artisan coal fire pizzas and excellent wines to go with your meal. Mellow Mushroom in Lincoln serves delicious pizza from fresh ingredients in an unforgettable, friendly environment. From the Mighty Meaty to the Holy Shiitake Pie, Mellow Mushroom’s unique menu has flavorful options everyone will enjoy. Dante Ristorante Pizzeria in Omaha does authentic, Neapolitan-Style pizza right. Everything is made from fresh, locally produced ingredients so you know it’s good! Isles Pub and Pizza, located in the historic Havelock in Lincoln, offers a variety of specialty pizzas with fresh toppings to choose from. A must-try and frequent visitor favorite is the “Leaning Tower” pizza! Operating for over 60 years, La Casa Pizzeria is an Omaha landmark. Each rectangular pizza is served on a tray and made with only the freshest ingredients. La Casa also operates a food truck serving up delicious pizza by the slice! Luigi’s in North Platte is small, but don’t let the size fool you. Here you’ll find some of the best, authentic New York style pizza in the state! If you’re a fan of thick crust pizza, PieZano’s in Lincoln needs to be on your list. Every pizza is loaded with toppings that will make your taste buds explode with every bite!